Paper towels create a major drain on the environment. Hopefully this isn’t news to you, but paper towels do actually come from trees. Now of course, the paper industry calls trees a “renewable resource,” which serves to remind consumers that they shouldn’t worry. Anyone can plant more trees right? Sure they can. In fact, all of the major paper industry manufacturers plant tons of trees each year. That said, let’s be honest and admit that planting new trees is hardly the same as preserving years-old forests. Plus, no matter if the paper industry plants trees or not, the issue is more complicated than you might think. State of the Paper Industry report by the Environmental Paper Network notes that the pulp and paper industry is the 4th largest contributor to greenhouse gas emissions in the U.S. The US Fish & Wildlife Service notes that industrial paper plantations is the leading cause of freshwater wetland loss. According to various reports, the paper industry is highly responsible for the release of persistent toxic pollutants into the environment, including the above mentioned chlorine but also mercury, lead and phosphorus. The paper industry is the biggest industrial water user of all time, using up around 11% of all freshwater in industrial nations. Paper accounts for 25% of landfill waste plus a full third of municipal landfill waste, and in turn, municipal landfills account for one third of human-related methane emissions. Most commercial inks used for paper towel designs are made with petroleum, a non-renewable resource. All in all, the Environmental Paper Network notes that, “Global paper consumption is currently running at more than 350 million tons per year and fast approaching an unsustainable one million tons per day.” Every time you buy paper towels you’re contributing to a massive eco-problem. It’s a Good Thing I Buy Recycled Paper Towels! Recycling paper pulp into new recycled paper products still uses water, energy and chemicals. In fact, the Environmental Paper Network notes that producing recycled paper may sometimes use more purchased energy in the form of fossil fuels and purchased electricity than virgin paper. 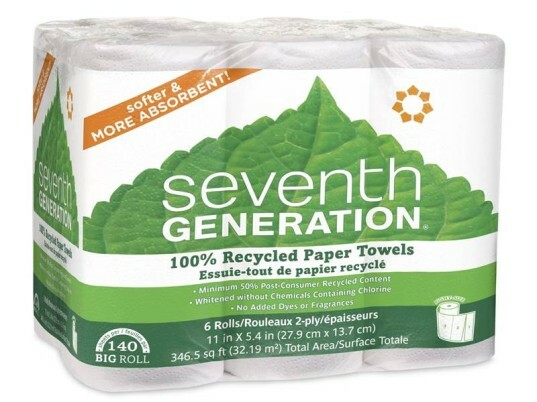 Lifecycle assessments on paper towels have not been able to prove that creating recycled paper products over virgin paper products offers significant environmental benefits. Conservatree, which is hands down one of the biggest recycled paper pushers, admits that reducing all paper use is a much more sustainable goal than using recycled paper. 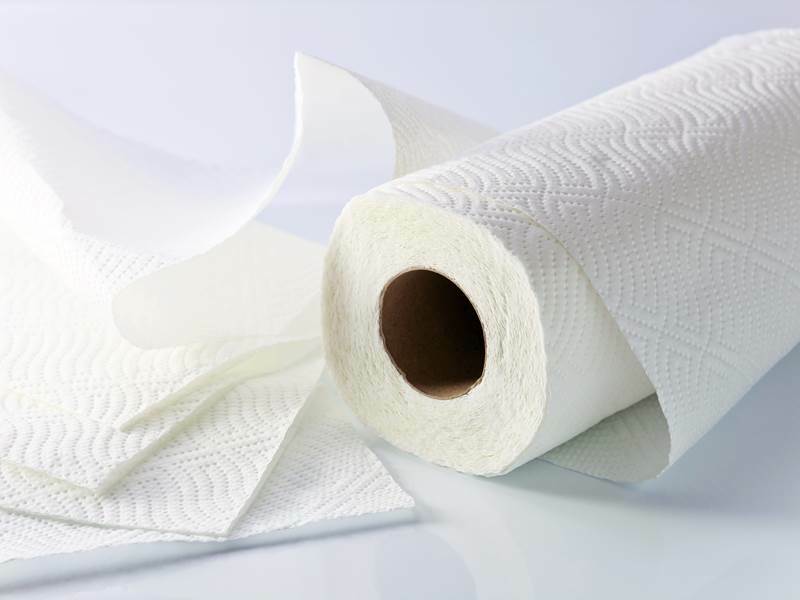 One study found that unused recycled paper towels contained between 100- to 1,000-fold the concentration of bacteria as virgin wood pulp paper towels. This is thought to be due to bacterial slime which is common at recycled paper mills. Coming up, an easy step-by-step guide to eliminating paper towels from your life once and for all. It’s easier than you think, even if you’ve got messy kiddos! Looking for a fantastic eco alternative to paper towels? Read our review of SKOY biodegradable, reusable cloths. Paper towels create a major drain on the environment. Hopefully this isn't news to you, but�paper towels do actually come from trees.�Now of course, the paper industry calls trees a �renewable resource,� which serves to remind consumers that they shouldn't worry. Anyone can plant more trees right? Sure they can. In fact, all of the major paper industry manufacturers plant tons of trees each year. That said, let's be honest and admit that planting new trees is hardly the same as preserving years-old forests.�Plus, no matter if the paper industry plants trees or not, the issue is more complicated than you might think.